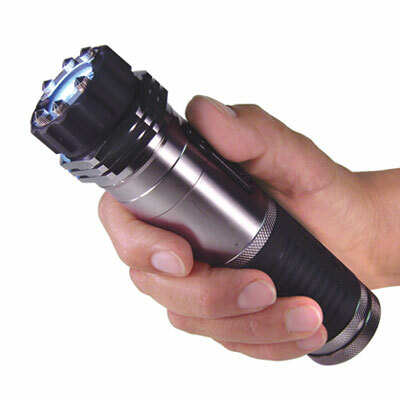 The ZapLight Flashlight stun gun is a sturdy, heavy duty, and ultra-bright flashlight. 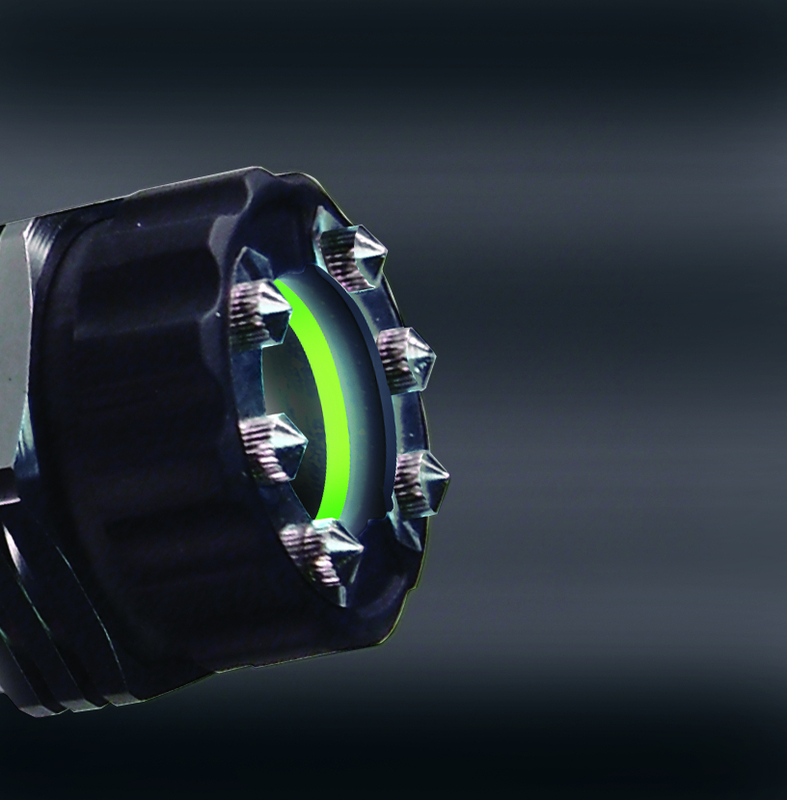 With 1 Million volts of take down power, it has plenty of power to stop a bad guy in his tracks! The 120 lumen flashlight is extremely bright and is perfect to use around the house at night. 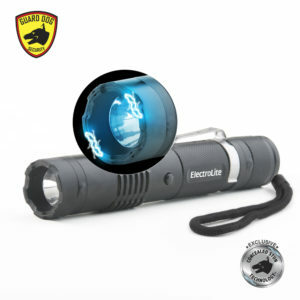 The Zaplight is perfect to keep by your bed or in your car. 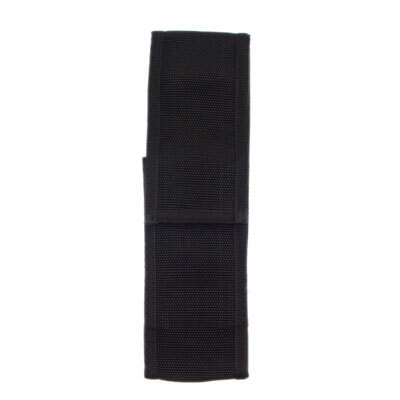 It’s a great tool to have to defend yourself at home or when you’re on the go! that you have been longing for. The higher the voltage, the faster the take down. With a shocking 1 million volt take down power, just by test-firing, it is intimidating enough to scare the bad guy away. 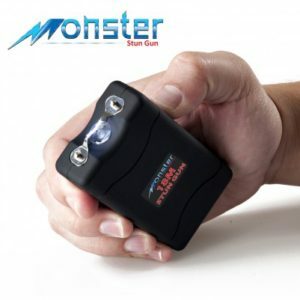 If the guy is dumb enough to come after you, the powerful stun gun sure would make him regret it. The unit is only 6″ long and 1″ wide and weighs 9oz. If you have room for your cell phone, you will have room for this. With 6 ultra bright LED bulbs, you can really count on it when you use it in the dark. Whether you are going to your car in the parking lot after work or just taking a walk in the park with your dog at night, the flashlight feature will come in handy. Not to mention it is always good to have a flashlight in your car in case it breaks down and leaves you stranded at night. 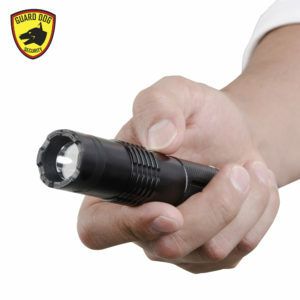 Another great way to use the flashlight is to shine it directly into the attacker’s eyes and temporarily blind him. What is a better way to stop an attack before it even happens? 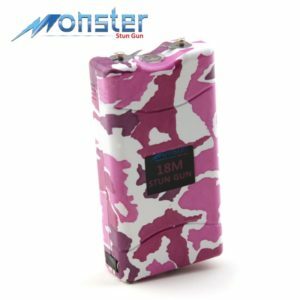 There is no way anyone would know it is a stun gun if you don’t tell them. 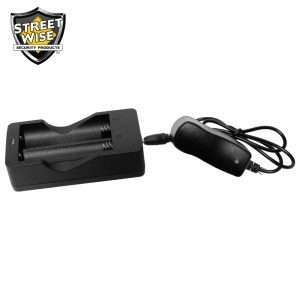 We all understand the need for a stun gun but just don’t want to share with the world that we carry one. It is the perfect item to have- you can hold this in your hand and the person next to you might would just assume it’s a flashlight. The unit has a built-in rechargeable battery. Just charge it for 4 hours and the flashlight will shine over 5 hours. You can perform up to 30 times one-second stun when the unit is fully charged. 1,000,000 volts seems a little strong, is it necessary? 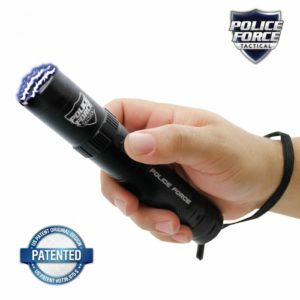 Can I hit the attacker with the flashlight stun gun directly? No. Even though it has metal shaft, I would not recommend using it to hit any object unless it is a life and death situation. 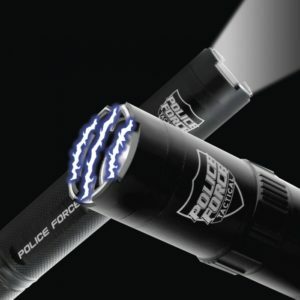 Can the stun gun and flashlight work separately? Yes. There is an On/Off switch for each function and they can be operated separately. Yes. 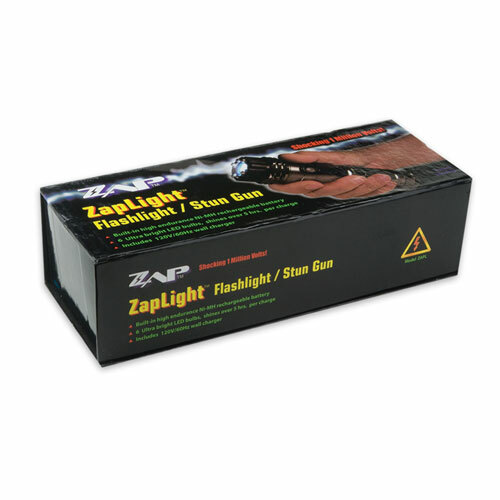 The ZapLight flashlight stun gun is only 6 inches long. It would fit easily in a purse or on your belt. No. According to the manufacturer, that is perfectly normal for only one side to arc. Sometimes once it is charged it goes to 2 sides. Even with the one side, the unit is working prefectly fine. Yes, I would recommend this item if you would like to get the most features for your money. 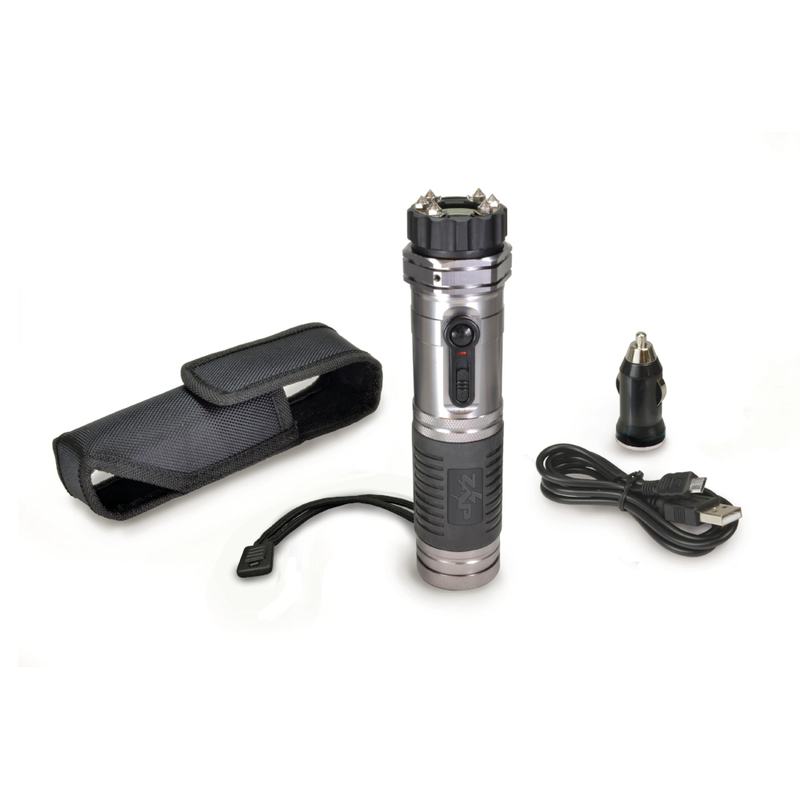 It is a flashlight and a stun gun all in one unit. This is a great item for a security guard or someone in a similar line of work. It is also very useful if you like to walk your dog at night. Not to mention every household can use a flashlight and some protection in case of emergency. Bought one for my finace who loved it and when I showed it to other people, they wanted one. I wound up ordering several more. Very well built. Flashlight is bright and very functional as a light. The power of the stun gun is impressive. Just the sound of it is a detouring. As with any personal safety equipment, the best ones are the ones you never have to use. With this, the sound will send them off, but it will take them down if needed. I highly recommend it for anybody that wants the security and functionality. Every woman that works or lives in unsafe areas needs one of these. Only product I’ve ever written a review for. Absolutely great gift for wives or daughters. Bought this product for my daughter. College student that leaves at night or untended parking lots in a marginal part of town. Serves a dual perpose of light and safety. Great combination!! If you are in the dark and using the flashlight function and then need to use the zapper, you will have to turn the light off and the zapper on. It makes little sense to be forced to operate the zapper in the dark, without being able to see your target because your flashlight is off. You should be able to use the zapper while the flashlight is still on. I like the construction and the obvious quality. This is a good product- easy to use, but I hope I never have to. I think the “zap” sound alone is quite intimidating to a potential attacker. My only complaint would be that it’s just a little bit bulky. On the other hand, it’s hefty and seems quite sturdy. The Zap light is great, but a holster I recently bought for the pepper spray I also ordered fell apart strightaway (the holster snap pulled out of the leather). I bought this little gem for my wife. My wife feels a lot safer walking our little pom’s . She feels very safe.Works Great. Safe to handle.The Cons? Not one thing wrong. It may give a false sense of security to a would-be attacker, thus the covert and deceptive rating. nice product should work how it is supposed to. On an attacker, I tried it a couple times on myself it hurts. SO I recommend you get this for yourself or a family member for a safe feeling of personal protection. 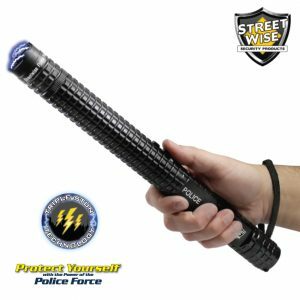 this stun gun looks like a light saber. and i use it while riding my bike or walking around the neighborhood at night. i have not tried it on myself or anyone else yet but it sound intimidating. This product gives me a sense of security. I have not had to use it yet, and I hope that I never have to. It is pretty intimadating when you test fire it. My partner wants one, and I will definitely get him one. I would like to get my nieces and brother one, however unfortunately they reside in Michigan. I also purchased the pepper spray/tear gas, and it also gives me a sense of security. I live in the country, kept by my bed, my german shepherds would alert me of an intruder and I would be double protected. More sense of security working on the bad side of town. Have not used but feel safer having it. Seems to be a well made product that functions as advertised.I’ve only had the unit for a couple of weeks and except for the push button test have not had occasion (and I hope I never will) to use it on a living subject. I am in the military and currently deployed to Afghanistan, I carry it everywhere. Just the sound alone scares people, but thankfully I haven’t had to use it on anyone yet, but will if I have to. Great product so far, no complaints, would purchase it again. And no one will ever know that it is anything more than a flashlight unless you tell them. I recommend this for any woman who works or lives in unsafe areas. Extremely easy to carry, especially when your hands are full, and nobody can tell what it is unless you use it.